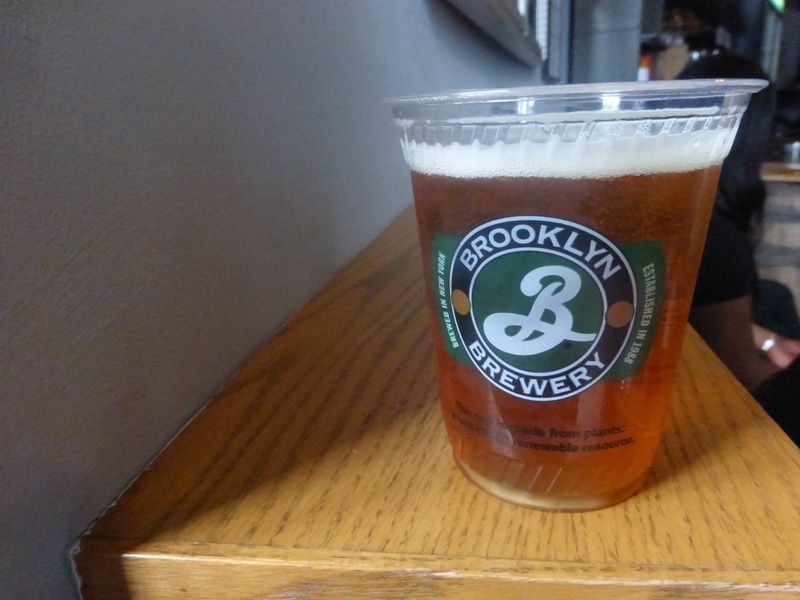 I made the mistake of visiting Brooklyn Brewery on a Saturday because it turns out that is when they offer free tours. I was a bit annoyed while I was there at how crowded it was and didn’t realize why until after I left. 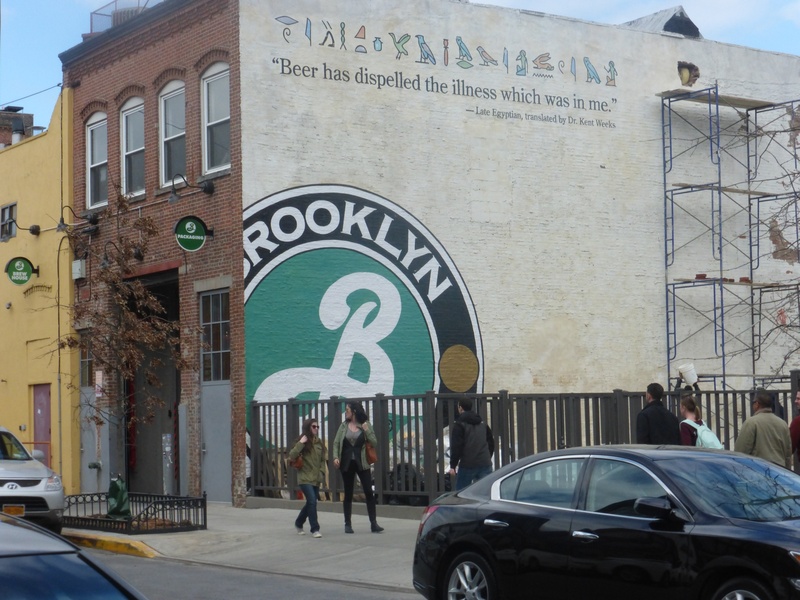 It is a huge brewery and has been around for quite some time. Getting there from New York City on the subway can be a challenge because there are quite a few sections of walking required before you reach it. Even more walking is required if you decide the food truck isn’t up to snuff and go in search of Brooklyn Pizza instead. I was disappointed by their use of plastic cups. I also didn’t like how they charged 2 tokens ($5 each) for the double IPA while everything else was one token. They also don’t offer taster flights so if you are planning on trying all of the beers in one visit you better bring a bunch of friends. Despite all of the negatives, I went straight for the double IPA because I didn’t want to try to order both the IPA and the double IPA on an empty stomach. The double has a nice citrus/grapefruit bite with some smooth caramel malts flavors. Though I really enjoyed it I’m not sure I would suggest paying $10 for a pint of it. I ended up eating at a nearby pizza place called Vinny’s Pizza because I didn’t want to wait for the food truck. Though it was a decent walk to get there, it was worth the distance because the pizza was fantastic. I suggest you stop by Vinny’s on your way to the brewery so you are able to stay as long as you want once inside and don’t have to leave to grab something from a food truck.